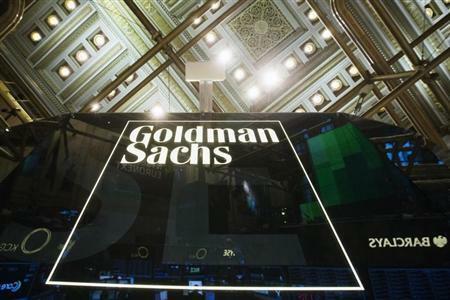 (Reuters) - Goldman Sachs Group Inc is in the process of selling its "designated market-maker" unit, people familiar with the matter told the Financial Times on Tuesday. The U.S.-based investment bank is in talks with Dutch firm IMC Financial Markets to sell the trading business, according to a Wall Street Journal report. NYSE and Goldman Sachs declined to comment on the story. IMC Financial Markets could not be reached outside of normal business hours. Formerly known as "specialists," designated market-makers operate both manually and electronically to facilitate price discovery during market openings, closings and during periods of substantial trading imbalances or instability for thousands of NYSE-listed stocks. A person close to the matter told the FT that Goldman will retain a brokerage role and continue to provide liquidity electronically for NYSE stocks. Goldman acquired the designated market-maker unit as part of its $6.5 billion purchase in 2000 of Spear, Leeds & Kellogg, which ranked as the largest U.S. stock and options clearing firm by volume at that time. Other Spear, Leeds assets have helped Goldman build lucrative electronic stock trading platforms.